Office Space - Halstead, Kent. This recently converted building now has ten modern offices equipped with the latest IT and telecom technology. 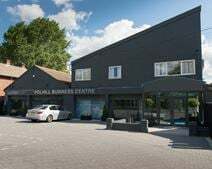 There is a boardroom available for use and the centre has good road links with Gatwick International Airport only 45 minutes away.